World Cup Cupcakes and More! Well, what a week it has been at Amore Bakery. 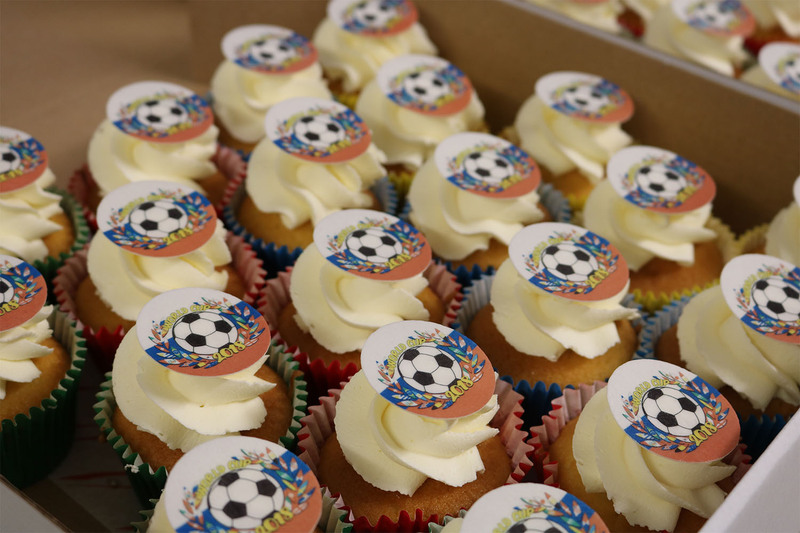 Along with the start of the world cup, we had a massive order for 10,000 world cup cupcakes. As you know, we love a challenge and threw everything we had into it. So what made these world cup cupcakes unique? 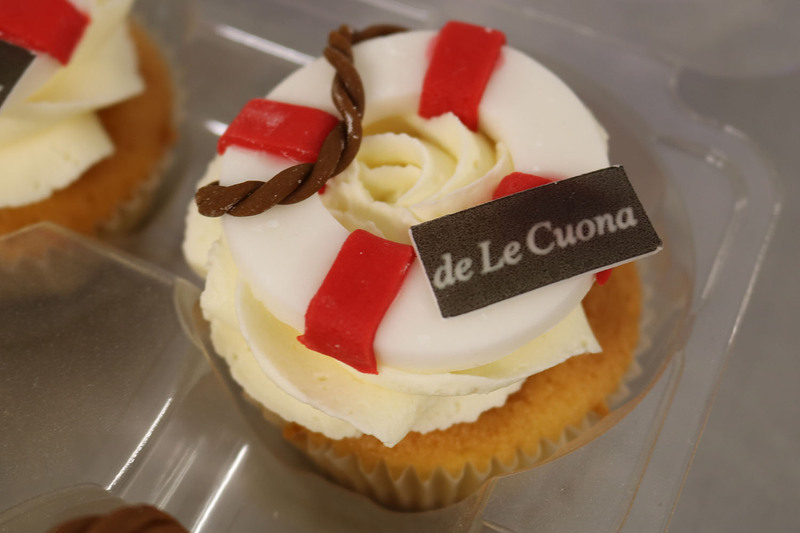 We created emblems of the logos, flags and general world cup cupcake toppers to go all over the 10,000 cupcakes. We pulled in all our resources and managed to produce all 10,000 cupcakes on time. We hand-delivered them all in our eco-friendly Tesla, and the clients were impressed with the final results. We’re a big fan of the World Cup at Amore Bakery. However, there are some in-house rivarilies between England and Portugal and who we want to win more. 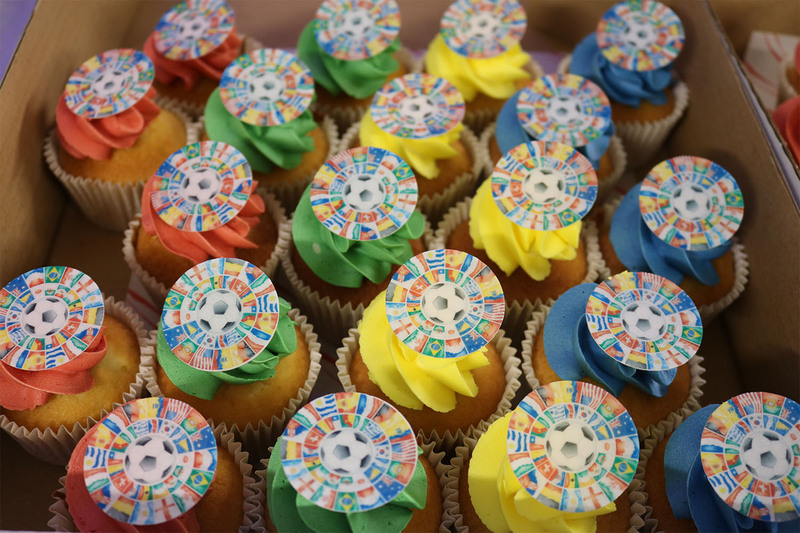 Luckily everyone loves cupcakes and we can’t wait to dig into some of the beautiful World Cup cupcakes we had the chance to produce. If you’re looking to book a wholesale order, head to out cupcakes page and contact us for more information. We’ve been creating some gorgeous gold cupcakes for a special occasion, which I can’t wait to share with everyone, so they can see the beautiful cupcakes we can produce for events a and occasions.